Installment 2 is by Annamarie Rutledge, a UMN Humphrey School of Public Affairs graduate student. Well as it turns out, I was fortunate to receive one of those badges. Within a month, I’m on my way to Katowice, making it nearly 33 hours later after three planes, a taxi, and a bus. So, what’s a COP like? 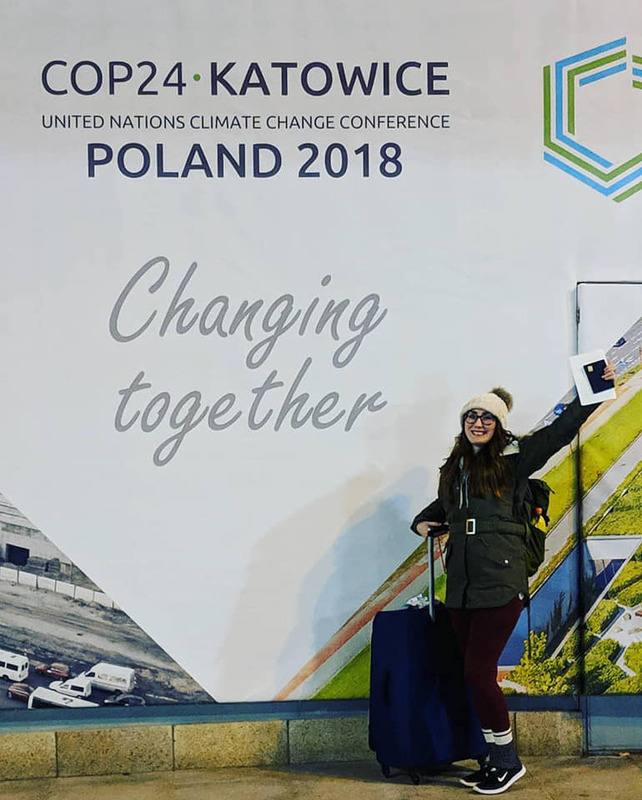 COP24 is like a crucial fair for climate change. A sea of people going every which way. Nonstop events, meetings, negotiations, booths, and pavilions. You may be walking alongside world leaders and not even know it. In my case, I was casually strolling in front of Arnold Schwarzegger. The first main event was the official opening plenary. “The leading theme of COP24 is Changing Together,” stated Andrzej Duda, President of Poland. World leaders are coming together at this conference to fully implement the plan from 2015. The objective is to adopt rules to ensure the Paris Agreement is a sustainable, economic, and environmental mechanism for the future of the world, supporting a peaceful cooperation of nations. “In two weeks, we want to announce that the Paris Agreement is alive,” said Henryk Kowalczyk, Minister of the Environment of Poland. One of the standout quotes from the opening plenary was the idea of Coal to Diamonds. 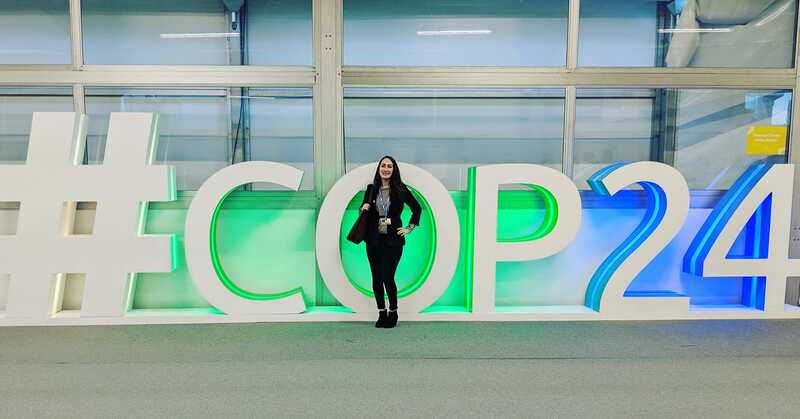 “Our motto is black to green here at COP24. Katowice has gone a long way from an industrial city to a metropolis of nearly 300 thousand people … Today we are honing the lumps of coal, once pillars of our city, and turning them into diamonds,” commented Marcin Krupa, Mayor of Katowice. 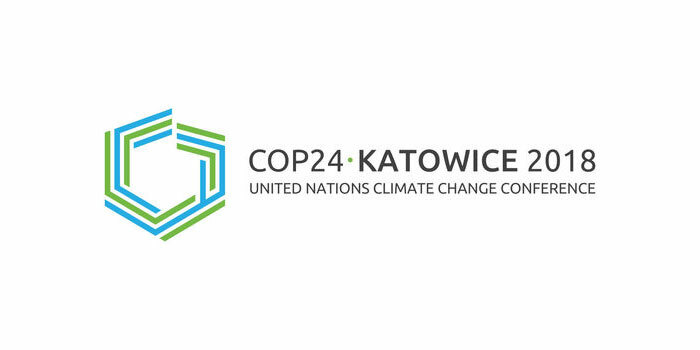 COP24 President, Michał Kurtyka, told the story of Katowice from prosperity based on resources to transitions due to social and technological change. Transition, he says, is why the COP is being held here. 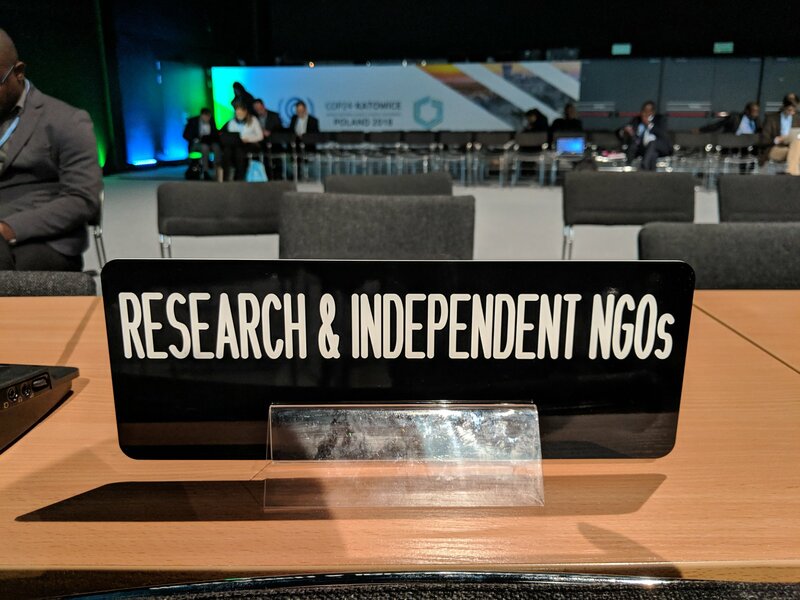 It just so happens that COP24 is being held in a conference center where a coal mine once operated. Sir David Attenborough took the stage to represent the voice of the people. “The world’s people have spoken and their message is clear: time is running out. They want you, the decision-makers, to act now,” stated Attenborough, warning of the collapse of our civilization and the extinction of much of the natural world. A video of submitted clips from around the world – an initiative called “The People’s Seat” – played on the screen, demonstrating that the UN provides a unique platform to unite both world leaders and citizens in addressing climate change. The message I heard multiple times the first morning was this: If we have all the scientific evidence, we can see the effects firsthand, and we have the knowledge and technology to limit warming to 1.5C, then what is preventing us from taking ambitious action? What we need is a strong political will for change and compromise.